One in six properties in the UK are at a risk of flooding. Because of this, it’s important that you as a homeowner or house-hunter understand the potential risks involved. Flooding can be devastating and so, we want to ensure that you are completely prepared and aware, in order to overcome it. Houses that are near to rivers and coastal areas are obviously prone to the risks of flooding. However, houses that aren’t in these areas can also flood and so, also need to be prepared. Some properties are at risk of ‘surface water flooding’ where the land may be uneven and so, flash floods from thunderstorms cannot disperse and end up flooding. Groundwater flooding happens rarely but still needs to be known of; this can cause water to rise up into basements and cellars. The government website is a quick and easy way of checking if a property is at risk of flooding; it will be graded ‘high’ to ‘very low’ depending on its location and history. We also advise that you check with your conveyancing solicitor, local estate agent or the owner of the property in order to gather as much information as possible as flood maps can change, and you need to be up to date with it all. All the information you gather surrounding past flooding and potential risks is important when getting home insurance. You may need to provide the insurer with an Insurance Related Request Letter from the Environment Agency to confirm the flood risk level of your property. Obviously, the higher the flood risk, the higher your home insurance premiums may be. However, if you take into consideration that you will pay less for the property due to the risk, you will not end up being considerably out of pocket. What can I do to help prevent flooding? Firstly, ensure you have plenty of sandbags available on the property. These can prevent the early stages of a flood from seeping into your home through cracks or gaps in doors. For higher-risk properties it is best that no rooms on the bottom floor of the home, including basements, have carpets but instead have wooden flooring. Also, keep valuable and priceless items away upstairs or in attics, not downstairs where they can potentially be ruined. How do I sell a house in a high-risk area? You have to be honest with any potential buyers as they are entitled to know the flooding history of the property, as well as be supplied with sufficient documents about it too so make sure you keep all flood-related records. This will help them calculate costs of insurance premiums and potential repairing bills. 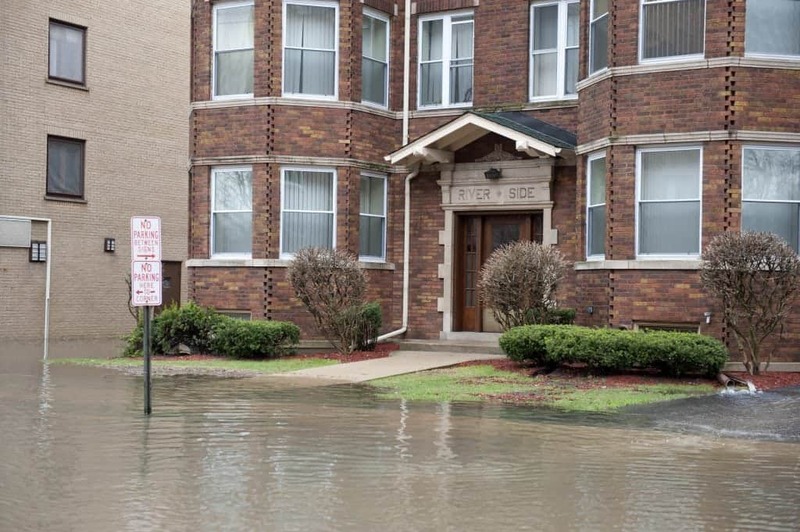 Buying a house in a flood risk area doesn’t have to be completely off the cards. If the risks are assessed correctly and you, as the owner, know the correct steps to take during a flood, there is less of a reason to worry. Here at Home Estate Agents we can help you with the process of buying or selling in a high-risk area. Get in touch today.